This hand crafted pine cone clock features a brushed metal hand cut overlay that highlights a rust patina clock face. Made in the USA. 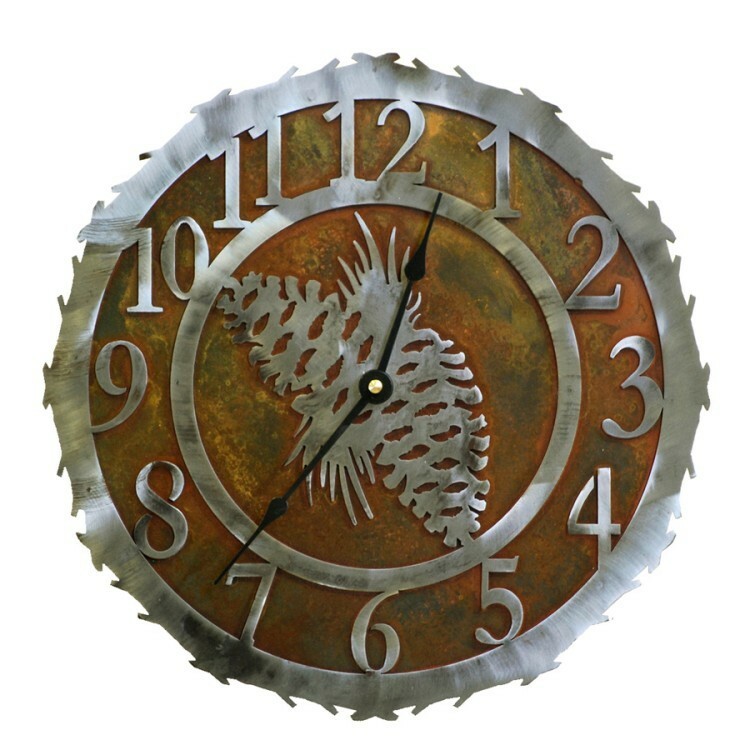 The hand crafted Pine Cone Clocks feature a brushed metal hand cut overlay that highlights a rust patina clock face.